Blogging, vloging, photographing, creating, travelling are a pleasurable activity when it comes to share our special things and parts of life. There are so many themes created for this special purpose, so we are bringing the best Blog WordPress themes. Here are the best new blog themes for personal or company / business use, created in 2019. All of these themes has a modern touch, together with a creative and stylish design, rated by you, the customers! Freelancers, blog owners and also writers will certainly all benefit greatly from this amazing theme. Authentic incorporates highly advanced technical services to every demand as well as need that could be advanced by individual or service internet site jobs, such as personal freelance portfolio web sites, expert solution company websites, corporate blog internet sites, songs and also home entertainment web sites, fashion information publications websites. Parallax video clip histories, Parallax sections as well as smooth Parallax infinite scrolling, its fantastic responsive BootStrap structure coding, its incredibly clear and also neat style, make this theme a perfect blog for your works. Some Features/Plugins : highly customizable, pinterest integration, great social engagement, ads and reviews, woocommerce, clean design, additional content formatting features, parallax, custom widgets, SEO, mailchimp support, fast support, paginated posts, child theme included, lazy loading effect. The Simple is an incredibly gorgeous, exceptionally visually stunning as well as unique, fine-tuned and also sophisticated, graphically polished and also advanced, highly powerful responsive innovative theme, a specifically made theme consisting actually on 30+ pre made demos, to fullfill any king of special website vizualization. It features 6 pre created blog demos, each one with an incredible innovative design for blog formats. This theme was created with a simple and clean look in mind, because what can be more original and creative than the simplicity itself! With the innovative Setup Wizard you can install theme and demo data, including sliders and plugins, with literally One Click. Use TheSimple to create a simple and personal blog WordPress theme. Some Features/Plugins : parallax and hover effects, animations, text effects, many widgets and shortcodes, icons, drag and drop fronted builder, WPML supported, Setup Wizard innovative installation, high performance, speed optimization, RTL, Woocommerce, SEO, Mailchimp, narrative video tutorials, transition effects, custom ElleThemes slider. Trendy theme is an excellent selection for creative blog owners. It is an extremely adjustable multi purpose theme with numerous theme options. With 24 multipage demos consisted of, there is no shortness of choices in this theme, as well as the modern look and dark design make it become a new trend. It features a powerful admin panel that allows you to customize every aspect of your theme. It has actually included many powerful features, each promising to expand your page’s capacities. You could utilize this theme for a company website, a business website and even a personal blog site. Some Features/Plugins : woocommerce, ultimate addons, top notch support, video backgrounds, parallax, easy customizability, extensive documentation, mailchimp and ninja forms integration, typekit, unlimited sidebars, SEO, creative portfolio cases, WPML ready, showcase styles. If you are looking for a special, innovative, modern and minimalistic blog theme design, Fotomag is perfect for you. The is minimalist with clean simple lines as well as very practical, yet only just what is required is utilized. Construct whatever you like with this layout that looks effortlessly on-point in Portfolio, Blog site, Store, Designer, Fashion, Band, Workshop, Photography. Make your area a hub for expressing visual creative work with this modern, receptive social WordPress theme! With Tower, there is no limit to what can be achieved. Your imagination will be the only factor that can limit progress. Every conceivable tool will be at your disposal, offering to upgrade your page’s capabilities, and improve the aesthetic quality of its design. In the online world, success is often represented by a high view count. That’s why we have created Tower. This demo it’s another demonstration of a simple masonry portfolio, with a minimalistic yet elegant look and left navigation. There are 4+ portfolio demos available, and some creative agency ones, so you can choose the one that suits you the best. Impose minimalistic blog theme is from the core considered for bloggers’ demands, which is why it includes HTML5 technologies to terrific effect, showing considerably quick loading times to lessen your web server tons and deal with big amounts of website traffic effortlessly, while also being thoroughly maximized for online search engine indexation, indicating your web pages will certainly be analyzed as well as rated a lot more relevantly. It has a fluid responsive design so will certainly service tools as well as display sizes. You can use it for your corporate/portfolio/agency site or for your personal blog. A clean as well as well organized theme that would be optimal for an on-line magazine also. Some Features/Plugins : get more traffic on your site, easy to use, well documentation, mailchimp integration, ninja forms, minimalisic, SEO, 600+ google fonts, live customizer, featured posts, related posts. Alpha is designed to be used by creatives, freelancers or agencies for web and graphic design are the target audience. It has a really nice portfolio layout with a unique way of loading portfolio items using a mouse wheel controlled slider and Ajax to load items up with no page refresh. It’s a well fit theme for all sorts of photography websites, from photographic studios to wedding event digital photographers, from imaginative and independent photographers to photographers and launching the most creative portfolio ever. The boostrap responsive grid makes sure that the theme will also look great on every tool. Some Features/Plugins : unique portfolio slider, modern technologies, AJAX loading, good SEO, retina ready, highly responsive, highly customizable, interactive Map, WPML, 7 layered PSD files , XML import file available. Beoreo is a very minimalistic yet creative WordPress theme for freelancers, photographers, companies and other creative fields. It integrates bunches of fantastic features that you can blend and also match in producing a remarkable portfolio or blog internet site. Take care of the general appearance of your portfolio utilizing its theme options pages. The theme is fully responsive and retina all set making your website look great in all type of modern tools. Your creative business site will certainly have a sensational appearance and professionalism. Some Features/Plugins : multiple header, drag and drop, pricing tables, Woocommerce, team carousel, skills box, social share, easy import, 18 pre created demos, performance. Innovation is another magazine and blog theme. The emphasis is even more on supplying news web content as promptly as feasible, there are also short articles with terrific insightful deepness in the magazine. The theme develops a grid based on the blog post you publish as well as showcases smooth animations, masonry layout, customized menus, theme options, banner ads and more. Thi theme is completely responsive as well as looks magnificent on any type of mobile gadget. It likewise comes with an Advanced Theme Options Panel, enhancing customer friendliness and availability. Some Features/Plugins : 250 home demos, dedicated support team, Woocommerce, page builder, multi concept, hosted audio support, SEO, animations, child theme, multi footer style. Motive is a multi purpose theme that would work well for business sites, blogs, information sites, online shops and also virtually other sort of website with the appropriate tweaks. It has been bestowed with an exceptionally streamlined user interface with the ability of creating internet sites ranging from the conventional and also workaday, owing to its powerful modification abilities. It has a wise theme options panel that allows you modify your header design, history, favicon, typefaces and also lots of more. It includes 7+ demos to showcase the portfolio and the blog layouts. Some Features/Plugins : a customized slider, completely personalized headers, a mega menu, parallax sections, multimedia slides, video backgrounds, live customizer, fixed or sticky header, different logo designs for headers, interactive components, 12 different blog formats, research, SEO, speed optimization, kind support. Amory is a lovely, clean, marginal as well as receptive WordPress theme for bloggers. It is a flexible system of setup for the entire blog, for every of its categories as well as solitary message or page. It includes Premium Visual Composer web page builder and Premium Revolution Slider. The item support include also the help with 3rd party assets, expect of the main theme technical questions. Content is always the first and the priority for Amory, and its six different blog layouts all show different interpretations of this content protagonism. Some Features/Plugins : email subscription, video embed, quote block, ad blocks, full page and boxed layout, gallery posts, unlimited colors, smooth scroll, sidebar pages with slideshow, instagram feed, SEO. Whether you are creating a blog, developing a testimonial website, or establishing up an on-line existence for your team, The Essence might be simply what you are seeking. The pleasant layout uses localization for getting in touch with people from around the world, and a responsive format guarantees that anyone could see your material, whether they’re on a computer system, phone or tablet computer. This theme is established using clean HTML5 and CSS3 code to offer users the versatility to personalize the theme as well as to ensure that it goes well with numerous modern WordPress plugin supplied on the market. The feminine and delicate design of this theme, will make you create the most beautiful magazine or blog website. Some Features/Plugins : 17 blog layouts, social widgets, instagram plugin, fast and premium support, feminine look, WPML, SEO, live customizer, responsive, featured post area, color options. This theme’s adaptable nature makes it practical for any kind of task specific niche, from individual blog sites, to corporate, business, as well as portfolio websites. Storyteller is a clean and minimal WordPress theme that strives for perfection in design and functionality. The listings are handled using custom post types to ensure that they are kept separate from the regular blog posts on your site. It is a theme with ultra responsive layout adapting perfectly and allowing you to visit it from any devices you want. With the creative shortcodes inside the theme is perfect for every niche, it is a good choice: designers, photographers, running corporate, business or an e-commerce site. Some Features/Plugins : narrative style for blogs, clean and elegant design, SEO, translation ready, strong typography and powerful accent on photography, readability, fullscreen swipeable picture galleries. CheerUp is a theme with luxury design options, tailored to be exceptional on all kinds of blogs. Not only the built-in modern design choices are aesthetically pleasing, it’s packed with over 100 possible layout combinations. As this theme is fully compatible with one of the most popular ecommerce plugin for WordPress, if you want to develop an online shop, or simply include an item or two for sale to your web site, after that CheerUp can be an excellent option. Whether you are an expert firm blogging your press launches and also general product information, a company blogging your social obligation campaigns or ecological initiatives, or any type of type of expert, severe task that requires to swiftly and also effectively maintain the globe updated on the development of your endeavors, this is simply the theme to do it with. 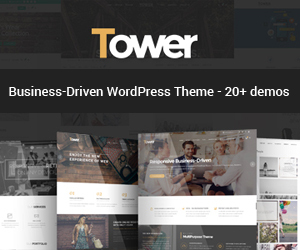 Some Features/Plugins : best selling blog theme on market, woocommerce, mailchimp, strategic social media, easy branding, live customizer, typekit, sleek design, SEO, top notch support, custim widgets, smooth navigation, off canvas menu, post format support. New York is a clean and also beautiful WordPress theme created and also established for blog sites as well as shop web sites. Online browsing for your purchases is ending up being an usual occurance, with acquisitions then being made either online or in shop. With this theme you could easily configuration functional, professional as well as special website that will certainly add a lot to your success. The design is minimal, pleasing to the eye, as well as the excellent typography makes the content readable across the entire format. Some Features/Plugins : ads, woocommerce, live theme design and edit, quality code, developed using Sass, translation ready, custom widgets, yellow pencil plugin, semantic code, beautiful design, instagram feed. Specular is a smart and resourceful, major and reliable, smooth as well as modern-day, streamlined as well as professional, attractive as well as extremely refined, seamless and also vibrant, cutting side and technologically efficient, versatile as well as effortlessly adjustable, endlessly effective as well as notoriously responsive WordPress content advertising and marketing multipurpose business web site theme. 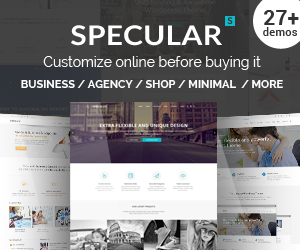 Specular is a pixel ideal imaginative multi purpose WordPress Theme based on Visual Composer made with fantastic interest to information, versatility and also performance. We feature also the creative side, with 5+ demos created to show you what kind of blog you can create with Specular. No matter of your technological background, you will be able to design a blog that can control your particular niche. Carrie is a WordPress blog theme created for personal blog or even magazine and corporate sites. This streamlined and also completely responsive theme is created utilizing the most up to date Bootstrap 3. It is totally responsive and also developed using clean and valid HTML5 & CSS3 code. It is a thoughtfully created theme that has been developed to be a natural as well as visually incorporated toolkit for web designers to flawlessly and easily produce all kind of potent and outstanding internet sites, personal as well as specialist. Carrie it is the most selling theme of the last month, even though is very new to market, this theme is very loved by the customers, also being 5 star rated. Some Features/Plugins : top selling and trending theme of last month, elegant design, built in ads, banner in header support, WPML, 10 predefined color skins, sidebars management, smooth animations, paper page effect, advanced CTA, posts pagination, mailchimp, newsletter, lightbox integration. Solstice is a particular niche blog theme and functions as a magazine theme. Its clean as well as sleek masonry grid layout is extremely easy on the eye and allow your material sparkle. While this theme is simple it still have lots of theme alternatives offered to transform your website design, shade mixes, add widgets, upload logo design, photos, as well as do lots of various other things. A number of clicks are all that divides you from utilizing the powerful included Page Builder to compose webpages with background shades, videos, photos, sliders, and also a lot more interactive opportunities. Some Features/Plugins : dark and light versions, featured posts option, social media, mail poet newsletter, featured posts option, dual pagination option, custom widgets, popular and latest stories. Aden it’s an aesthetic, modern blog theme. The entire format is responsive so whatever screen size your internet site is being seen on, it should look equally as good across all systems and devices. With this product, your company blog will certainly be a beaming instance for those that wish to design a superb website. It supplies numerous blog design templates layouts, to match your individual or company identity. You could use this layout for both one page and also multi-page websites, depending upon the size of your tasks. Some Features/Plugins : grid layout, with boxed and full width layouts, post formats, google analytics input, related posts, live color options, a clean commented code, hide/show elements option, SEO, instagram widget. GossipBlog is a tidy and fresh looking blog theme that imaginative sorts of all kinds will certainly fall for. This theme supplies you a powerful theme options panel where you could setup your website. It has a grid design homepage to organize your infiltrate neat columns that will certainly auto-size relying on the photo. The extremely simple one-click arrangement as well as setup feature makes beginning your style blog the most basic of jobs, which purchase consists of complimentary client assistance as well as life time product updates. Some Features/Plugins : lightbox integration, blog layouts, 9 custom page templates, awesome gallery, ajax pagination, SEO optimization, RTL support, clean and simple, child theme, custom widgets and shortcodes, mailchimp integration. This expert layout will certainly suit bloggers as well as authors who are trying to find a solid ‘expert’ touch to their blogging experience. TheBlogger theme goes great with any kind of gadget, regardless of the size of its display. It is a receptive wordPress theme that showcases fully fluid responsive design, it’s unbelievably fast, it is very adjustable as well as enhanced for online search engine. This consists of a couple of different designs, a variety of color choices, as well as a number of navigation settings. Some Features/Plugins : flexible theme setups, SEO-ready code, social networks icons, instinctive menus, 700+ symbols, ninja forms, mailchimp integration, live customizer, flexible, unlimited sidebars, related posts module, 800+ google fonts. Maple is a flexible and also incredibly responsive theme, that you can make use of for any kind of sort of blogs or site. It is bold, personal, modern and will make such a pleasure to work with a very loved theme by the customers. It’s more of a sentimental style that will be fantastic for sharing an article occasionally, with the assistance of a modern as well as stylish blog writing theme style. Some Features/Plugins : light and dark style, multi sidebar support, parallax header, clean code, long term support, cross browser compatibility, big post at first, SEO, innovative blog structure and design, animations. Christina is a flexible, responsive, high-performance magazine and blog wordPress theme with a modern creative layout to suit a plethora of imaginative usages for structure websites. That results from Christina’s potently versatile and inherently intuitive customizing options, which, incorporated with attributes like the Drag & Drop Homepage Editor, a significant quantity of custom-made constructed shortcodes as well as widgets that could expand the capability of any kind of page without a single line of coding, and also well-rounded beautiful, visually classy and also professionally designed appearance. Whether you are preparing to develop a basic web site with a clean and clear design that can be set up in mins, or you desire something much more flexible that you could truly customize and also make your personal, this theme is for you. Some Features/Plugins : infinite loading, social sharing, SEO, gallery style with caption, 3 different layouts with sidebar combinations, lifestyle style, speed optimization, great theme performance, google structured data. Laurel showcases an user-friendly web page composer, a grid layout, one-of-a-kind front web page template, slide shows areas and also even more. You can use it to create your personal blog or shop website, as well as you’re offered numerous different layout options for just how you want your routine to be displayed and also filtered. It showcases a boxed elegant and feminine layout that can be made use of to show spectacular digital photography that creates an immersive experience for site visitors. Some Features/Plugins : eye-catching design, shortcodes, 5 blog layouts, custom widgets, SEO, hide/show elements, translation ready, Woocommerce, promo boxed below slider mailchimp, newsletter integration, instagram widget. It is elegant, clean and also wonderfully hand crafted with a block-style design and also vibrant typography. Designers for this theme offer superior assistance that will certainly lead you with arrangement and also customizations. Its clean and vintage style is a clever option for building blog, lifestyle and also portfolio websites. It has a custom article kind for solutions and also personal that could be additional modified via easy yet powerful theme choices. Solvi is exceptionally trusted and also secure, based on a hard and cutting edge HTML5 framework that has actually been modularly created through Twitter’s Boostrap innovation as well as visually provided in smooth vibrant CSS3 scripting modern technology for optimized smoothness. 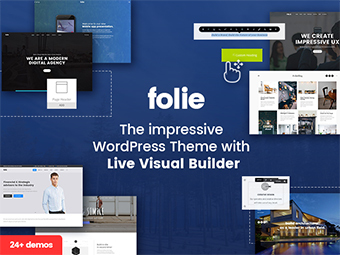 Some Features/Plugins : easy to customize, custom widgets, instagram slider widget, RTL, SEO, child theme, Ulkit frontend framework, translation ready, 800+ google fonts, wordpress customizer, hover effects, slideshows, 6 color styles. Vlog its a blog, magazine mainly oriented theme. Whether you’re creating a website to post your vlogs to, you want to build a video news or magazine style website, or somewhere in between, Vlog has everything you’ll need. This theme is highly personalized and it has many widget locations, several custom widgets, endless color options and far more. It also comes with gallery and video sustain that you could make use of for developing an interesting website. Some Features/Plugins : more than 200 post layout combinations, youtube and vimeo support, auto detect video thumbnails, website monetization, advanced theme options, translation ready, easy branding, support for post view number and also mutable HTML5 core coding and flexible CSS3 styling. Uncode made for digital photographers, creative firms, nonprofits, and even amusement manufacturing or small business. With the Visual Composer page Builder incorporated in the theme, theme users get an awesome web page structure encounter. For instance, the Visual Composer makes personalizing a web page appear like a stroll in the park. Uncode is simplified for convenience of use, includes Visual Composer as well as LayerSlider plugins, exquisitely crafted portfolio as well as blog layouts, substantial SEO, and also far more. The theme has a multi use, versatile structure as well as could be a publication website, an e-commerce shop or a combination of both. It is a highly adjustable multi-purpose theme with numerous theme choices. Your portfolios can be displayed in grid or stonework designs, with complete size readily available too, and Carousel aspects that feed directly from your portfolio to feature your work constantly. Some Features/Plugins : group carousel, popup box, video lightbox, a modern photo gallery, pixel perfect, enhanced visual composer, video tutorials, SEO, lightbox, CSS3 animations. Grand Magazine has lots of areas which provide you alternatives for displaying your material. The responsive theme is developed for traveling blogs and overviews and also includes several theme options. The 3-column structure also functions quite well, offering you the capability to present various sorts of material (blog posts, events, songs, and so on). You’ve got various options to set inning accordance with your needs as well as requirements. It comes with a vibrant and colorful design, that for sure will attract people’s attention. Writing Blog is a minimalistic kind of blog theme, perfect for any writer to publish the works in an elegant way. This theme is multi-lingual ready and also SEO pleasant making certain your organisation could be found online. This theme looks splendid on computer and modern mobile phones because it is clean as well as absolutely receptive. It comes with a spick-and-span and also simple style that is ideal for any kind of blog vintage information kind of website. Some Features/Plugins : RTL, minimal design to focus on readability, SEO, social share, WPML, touch friendly, cross browser support, custom shortcodes, custom widgets. Grand Blog is all about creating the biggest perfect blog website. Its functions include a blog, a story section, premium sliders, image gallery, as well as much more. The theme uses a clean, vintage style that is best for revealing off your blog posts. Though this theme looks simple, it is power packed with a variety of fantastic features and alternatives. The design itself is somewhat minimalistic, counting on plain accent colors and also a lot of whitespace and soft colors. Some Features/Plugins : infinite scroll, live customizer, instant search, post review, SEO, custom sidebars, CSS3 animations, advanced gallery, best selling blog theme, WP review plugin, photostream integration, total cache plugin, child theme.